Too good to be true but there is actually a tasty wine that is completely made from pure pomegranate fruit. The fresh fruit, sweet/sour is squeezed when it is at the peak of its ripeness, undergoes a fermentation process after which it is aged in stainless steel vats. Bright garnet color. 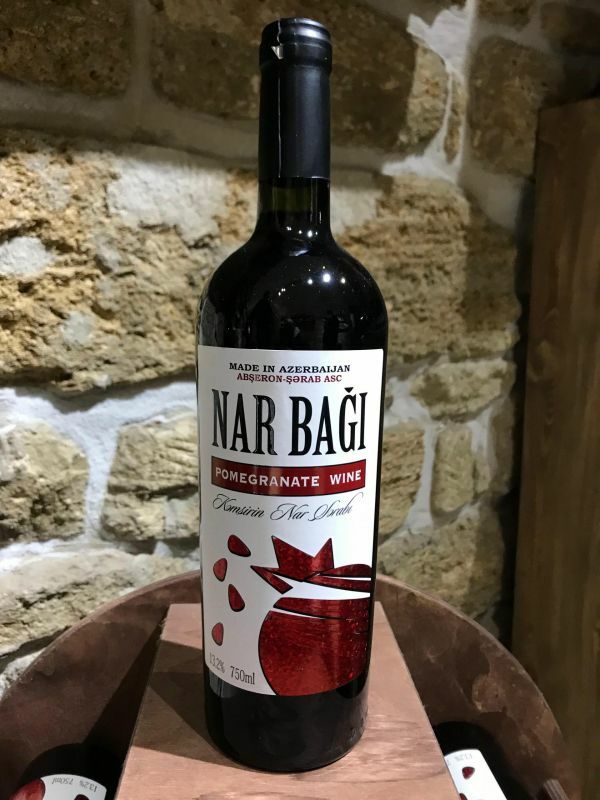 Intense aromatic pomegranate bouquet with moderate acidity, balanced between light sweetness, medium body and soft tannins. Rich, well-structured pomegranate aftertaste. Pairs well with medium-bodied dishes such as green salads, cheese and desserts. Served best at 12 -14 degrees. BoujeeWines is focusing on distributing unique wines made with indigenous grapes and pomegranate from Azerbaijan, as well as artisanal vodkas made with mulberry and cornel. Please contact me for details.